In lieu of flowers memorial donations may be made to the National Kidney Foundation or the El Dorado Springs Youth Center and left at the funeral home. Nancy Rose (Sallee) Melton, age 60, of El Dorado Springs, Mo., went home to be with Jesus on Friday, January 27, 2012. Nancy was born May 5, 1951, in El Dorado Springs, Missouri, the daughter and youngest of five to Alden Sallee and Betty (Brower) Sallee. Nancy married Randy Melton on April 27, 1968. They were married 43 years to continue their love as high school sweethearts. In this marriage two sons were born, Scott and Dale. Anyone who knew Nancy could see she was full of the “Joy of the Lord,” because she was always giggling and laughing with a smile on her face. 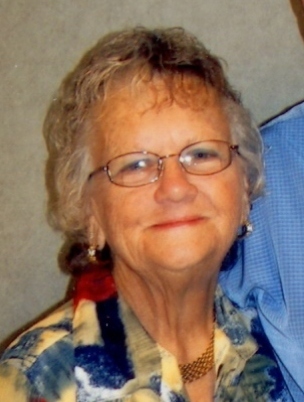 The most joy she had was spending time with Randy and her five grandchildren. Nancy was a devoted Christian and loved to serve her Lord. She was saved at West Union Baptist Church on January 7, 1964 and baptized on September 13, 1964. One of Nancy’s favorite pastimes each year was the El Dorado Springs Picnic. She enjoyed spending time with many family and friends. You were bound to see her open the picnic and “Shut it down!” Another place you were guaranteed to see her was at the ball fields, overjoyed to watch her grandchildren. Greeting Nancy in Heaven was her sister Janice (Sallee) Skakal. Survivors include her husband Randy, her two sons: Scott and wife Tammy Melton and their daughters Mallory, Megan Rose, and Makenzie; Dale and wife Sheryl Melton and their sons Dylan and Devin, all of El Dorado Springs, Missouri. Her parents Alden and Betty (Brower) Sallee; her brother Tony and wife Betty Lou Sallee; her sisters Connie and husband Jim Williams, Velva and husband Roy Lasley, all of El Dorado Springs, Missouri, and numerous nieces and nephews. Funeral services for Nancy Melton were held on Tuesday January 31, 2012, at 2 o’clock p.m. at Bland-Hackleman Chapel with Brother Dewayne Cunningham officiating. Music was provided by Karen Rains and Shari Grotheer. Interment followed in Mt. Pleasant Cemetery west of El Dorado Springs, under direction of Bland-Hackleman Funeral Home. Pallbearers were: Troy Lasley, Clayton Sanderson, Donnie Rains, Benny Brower, Troy Alexander and Terry Smith. Honorary Pallbearers were: Billy Paul Brower, Larry Davis and Don Berry. Nancy’s wishes were for all to rejoice along with her because she is at home with Jesus.